After a brief brush with Hurricane Sandy, calm weather has returned to this part of Florida. It’s cool and dry–finally! A Florida autumn isn’t as showy or dramatic as a northern one, but there are subtle hints that the seasons have changed. 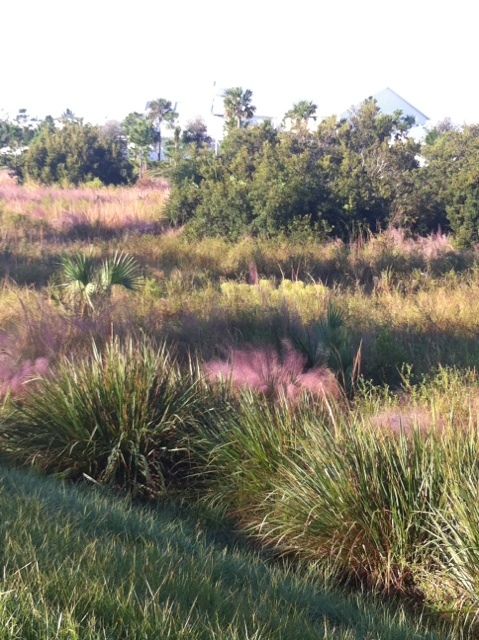 Witness the Florida Purple Muhly grass. It is blooming this time of year. Slowly the purple fades to a shade closer to auburn and finally to a November brown. Image | This entry was posted in Life and tagged Florida, photo, seasons. Bookmark the permalink.